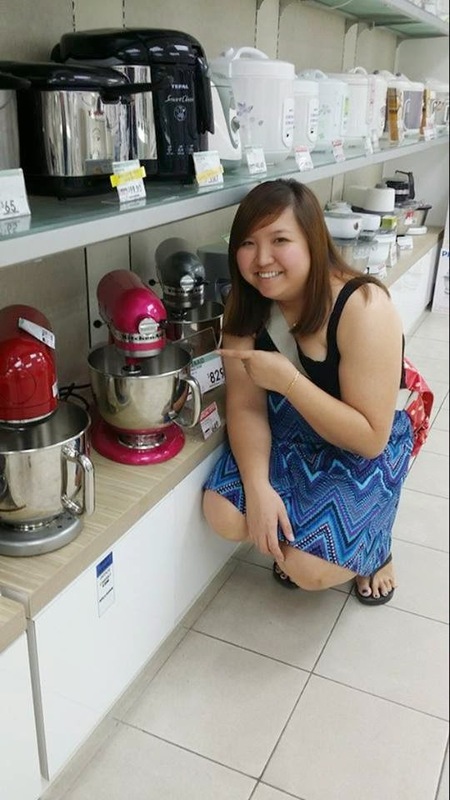 The Baking Biatch || by Cynthia Lim: Buying my kitchenaid, trolley and toilet bowls! Buying my kitchenaid, trolley and toilet bowls! Friday was the last day of school. The flu bug that has been going in the staff room got to me.. it didn't help meeting parents on Thursday when I was unwell.. but I'm nonetheless thankful for the opportunity to meet them to speak about their child... and steps on how we can help them move to meet greater heights. I met the hubby after work and we had lunch before heading to Best Denki to buy my Kitchenaid mixer! Yes I have a Kitchenaid mixer now... and it's in a lovely Raspberry Pink! It doesn't match my kitchen but heck! I love it too much to give it up! And since I received Howard's email on Thursday night regarding their 20% storewide discount, I headed to get the trolley I was eyeing too! 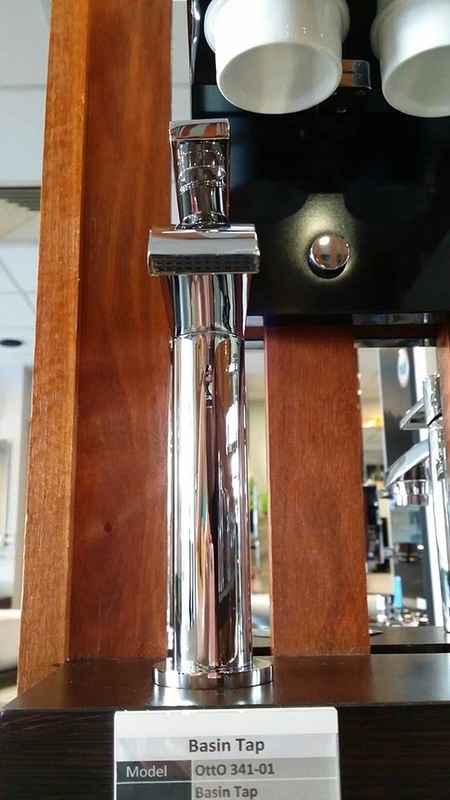 I was pretty comfortable not getting the other one with the handle as I appreciate the extra 'rack' on top and the absence of wine rack that was present in the other model. 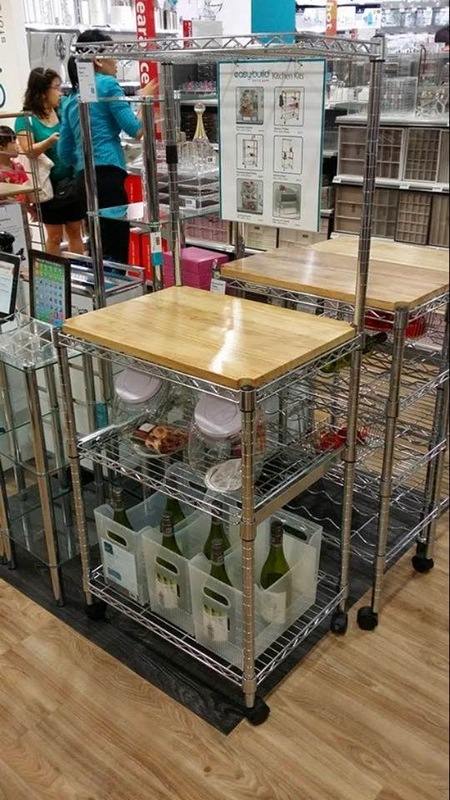 I was then delighted to know that these are customisable modular trolleys! So the happy me had a handle added to my trolley..
We then headed to our new home to check on the completion of the replacement of tiles. The keys were supposedly handed back to the BSC as of Tuesday as we last communicated. Imagine our FURY when our gate was not locked when we checked the unit on Friday. The window was open. 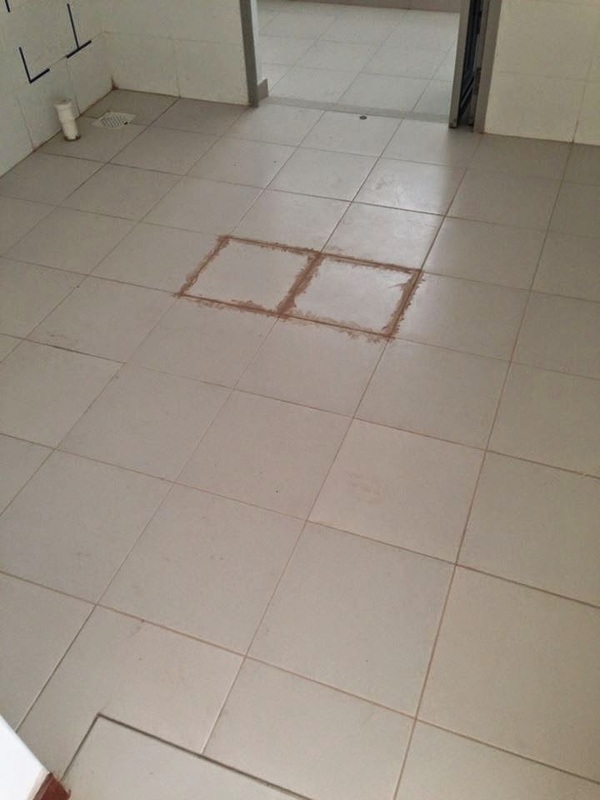 The kitchen tiles were incomplete (2 tiles had grouting on them still). 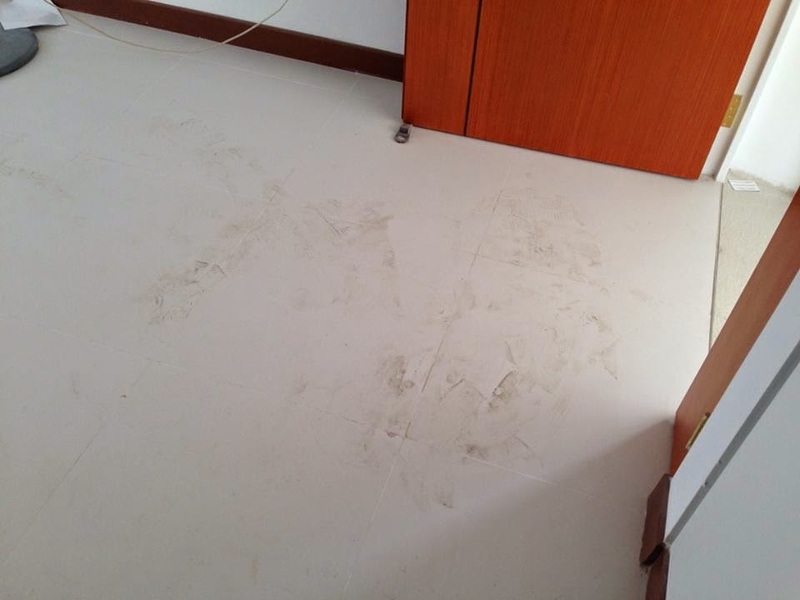 The tiles were muddy and dirty. 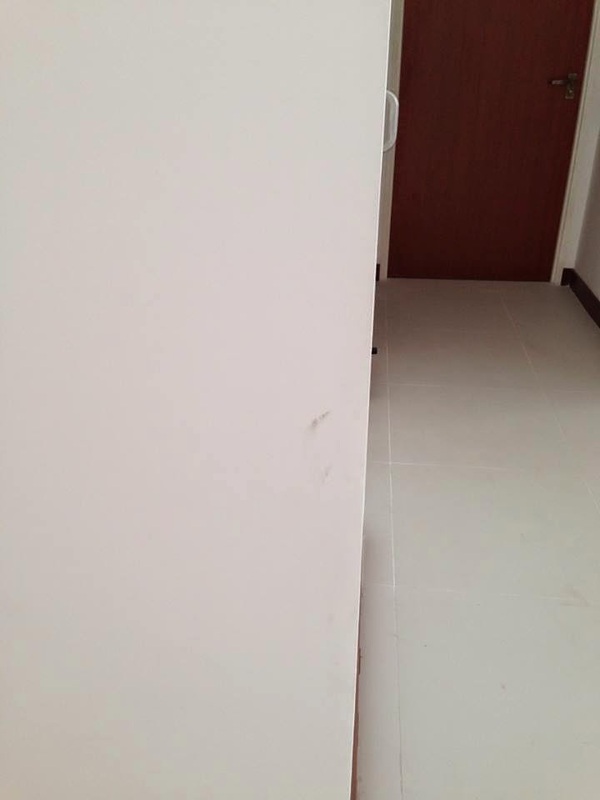 My walls were tainted with grey/black hand prints. I called the BSC and they sent the two men up to give us their story. "I wanted to make it better for you" said the RTO. Like excuse me, it was already supposed to be handed over. Did you inform me of the extra work? NO. Did you take into consideration to complete it as agreed? I DOUBT SO. Incomplete work. And we had 3 rather off coloured tiles which we agreed would be hidden nearer to the wall so that my cabinets can hide it. 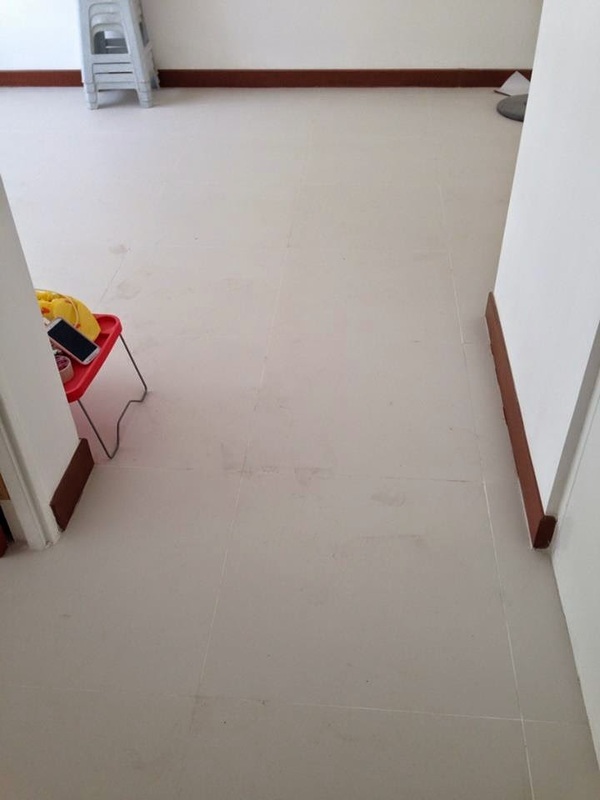 How intelligent is it to leave the most OUTSTANDING tile to the part where my cabinet won't cover as much? They IMMEDIATELY sent their men up to complete the incomplete works. To repaint the walls that have been dirtied. 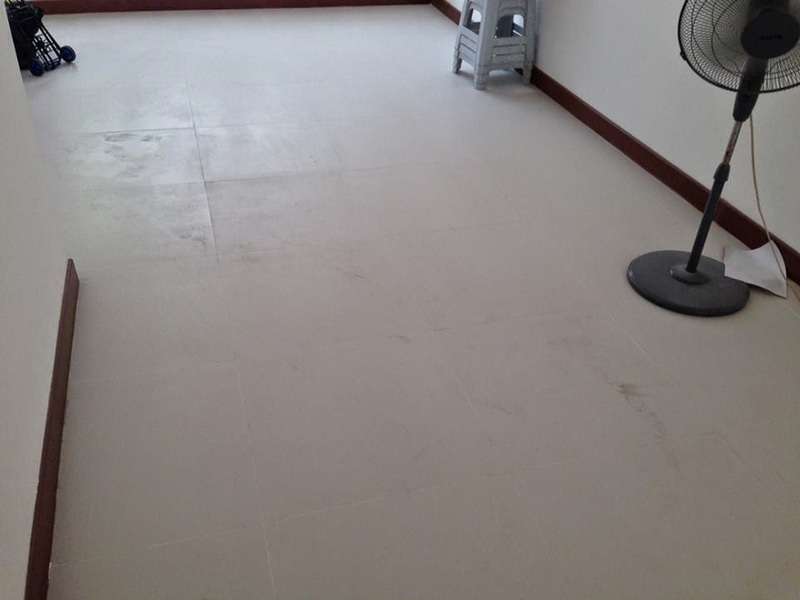 The HDB OIC called me after which to do a follow up and offered to replace that last outstanding tile. They will search for that tile and have us select the best tile of the lot for replacement on Monday. And it will take EVEN MORE TIME. The whole rectification process it taking so long and it is really annoying. Our renovation has been delayed due to all these. 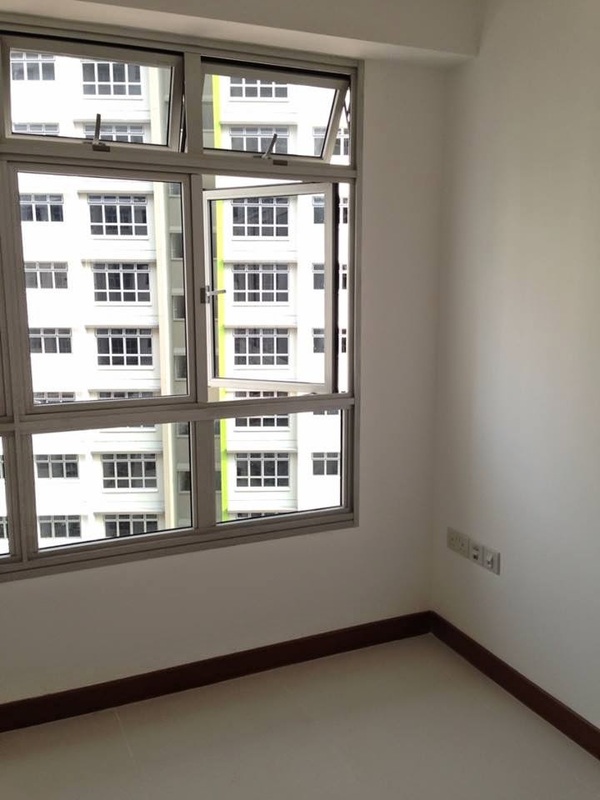 So much for having affordable flats that are good for moving in. 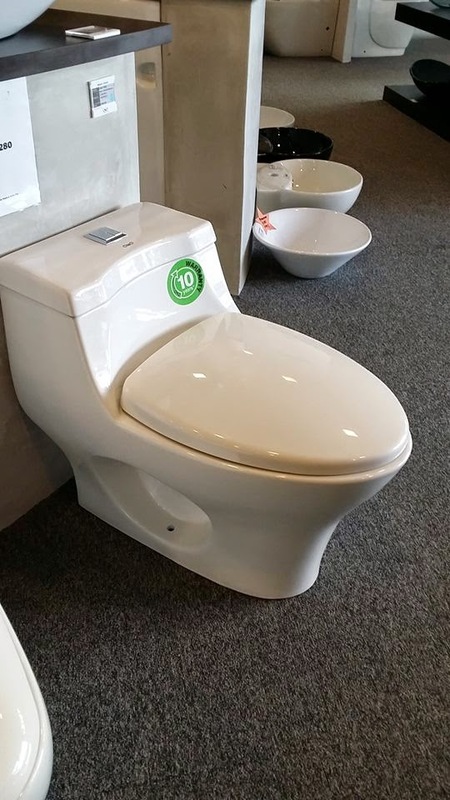 Anyway, on Saturday morning, we headed out early to look for our toilet bowl, basin and sofa. Our first stop was Sim Siang Choon at the back of the Singapore Expo. 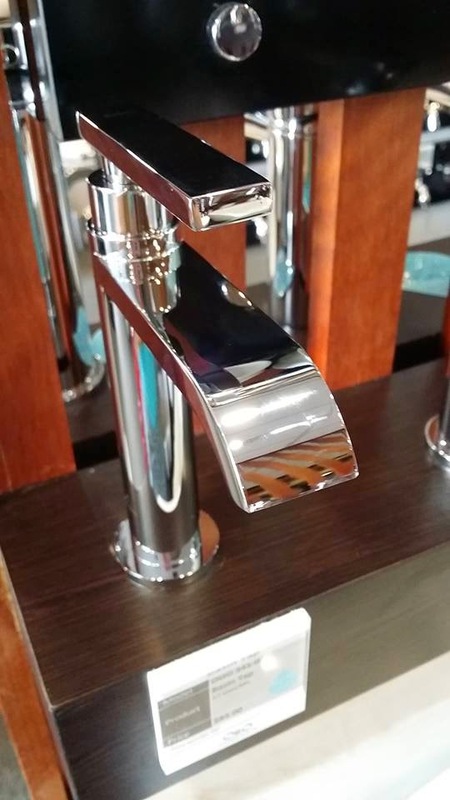 I will very likely buy my kitchen mixer from SSC. After which, we headed to Tradehub 21 to the shop our IDs recommended. Thankfully, I did some research last weekend and realised how much they had their prices inflated in the tradehub outlet. We did try to select the pieces we wanted and see how much discount they could give us... but the difference was too large from the other shop I went to. So we decided to go to Jalan Besar. Before that, we also popped by Defu furniture and Nova to check out their sofas. They had what we want within our budget but the bad reviews really had us wary. Where else can we get a nice L-shaped 3 seater red sofa under 2.1m? 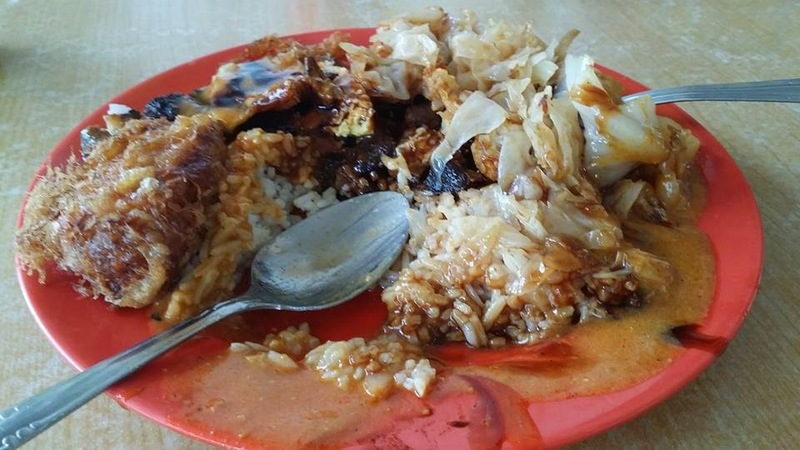 Anyway, we headed to Jalan Besar and had our lunch at the famous Scissors Curry Rice which I had very often as a kid. This mess is sloppy but it tastes awesome. 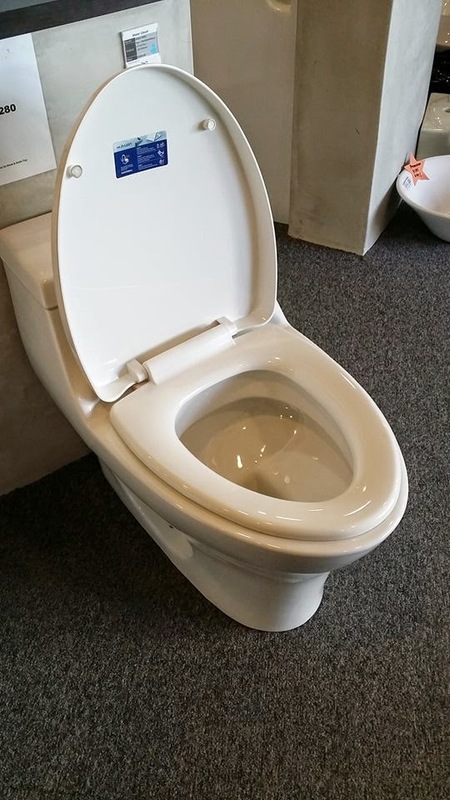 Anyway, we decided to go for Otto's toilet bowl. I love the soft closing lid! 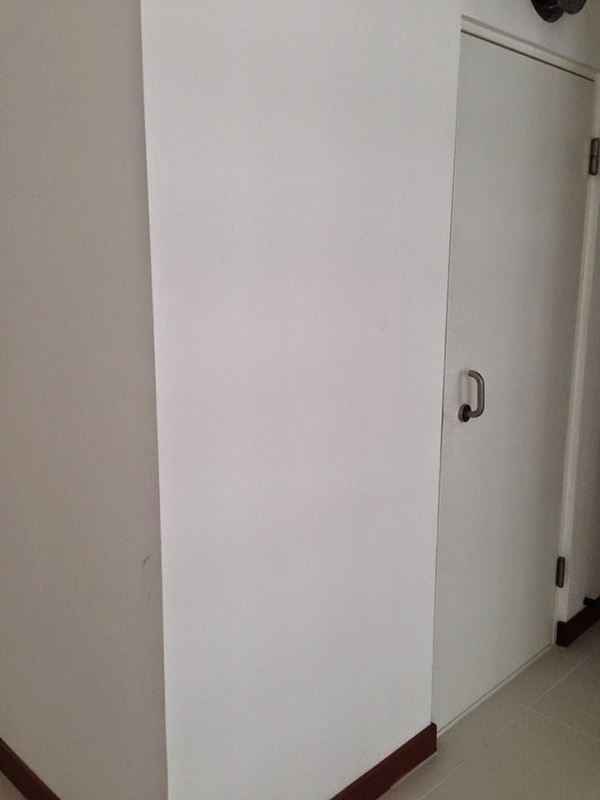 And of course, the fact that is is higher than the short dwarf-like toilet bowl HDB provided us with. And it was merely a fraction of the price the shop at Tradehub quoted us. 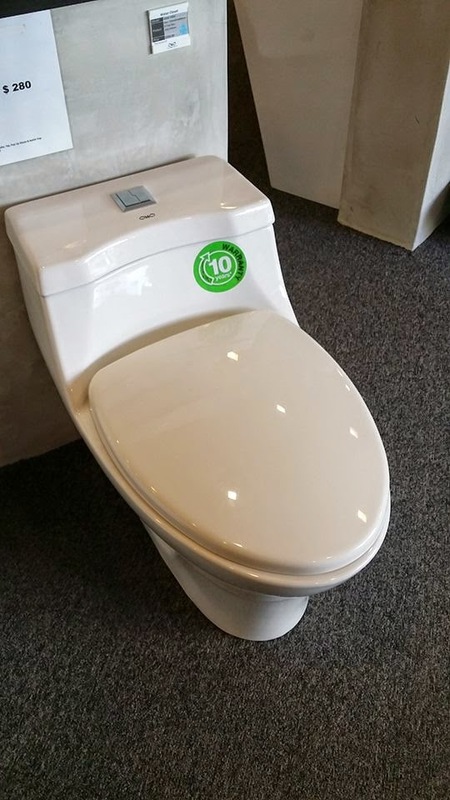 We took the package and got the counter top basin for our MBR too. It's in white though! Which is easier to maintain! 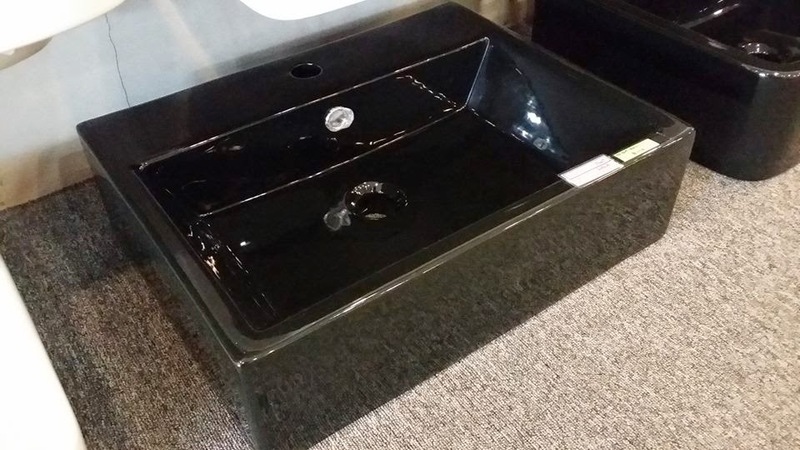 We also managed to get a fountain like tap for the basin at a good price! On top of the already attractive prices, the saleslady even gave us additional discount which made shopping with her even more enjoyable. In addition, her service was really good. So here we have it.. several items purchased.. more to come..
Labels: Billy and Cynthia, Billy and Cynthia first home, Billy and Cynthia's home, Buying my kitchenaid, home reno, Home renovation, Tampines Greenleaf BTO, Tampines Greenleaf renovation, trolley and toilet bowls! Which brand of oven did u get?